It can be frustrating to have a window break in your home, but it is essential to take action as soon as possible to repair the broken pane of glass. If you need window repair, you should call our team at Scientific Home Services Ltd for more information about the services that we offer. The first order of business is to choose a contractor to help with your window repair. There are many contractors available in the greater Chicago area, but it is important to choose a team who will get the job done right. Look for a contractor with many years of experience in the industry. A lot of experience improves the results you can expect from the repair work. There are several methods you can use to choose a contractor. Most homeowners start by talking to friends and family members to see if they can provide recommendations. Another option is to look online for information about companies in your area. Make sure the contractor has a good reputation and offers the types of services necessary for your home. Glass Repair: Broken glass can be dangerous to your family and lead to more damage in your home. If a windowpane is broken and you neglect the repair, you might be dealing with condensation that leads to mold growth and water damage. Not only will you need to replace the glass that is broken, but you will also need to undergo restoration work to get rid of the mold. Broken Window Frames: Over time, it is common for window frames to take a beating from the harsh weather outside. Eventually, the window frames can break, allowing drafty air to come inside. If your frames are broken, it is essential to replace the windows with high-quality materials, such as vinyl replacement windows. Old Home Restoration: Older homes offer a charming style that is hard to match with new construction, but the character of the home can also have a negative impact on the quality of the property. If the windows are old, you might consider replacing them when you are working on other restoration projects. These restorations can be designed to maintain the original style of the home while improving the durability of the property at the same time. 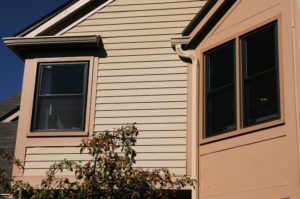 Energy Efficiency: Broken windows cause an efficiency problem for your home. If you are worried about the high cost of your utility bills, you should consider the advantage of installing energy efficient glass panes instead. Screen Repair: In some cases, the quality of the window might be fine, but the screens could need to be replaced. If you want to open the windows when the weather gets warm outside, it’s best to have high-quality screens to keep the bugs out. Screen repair is a fast and easy way to upgrade the quality of your home. Sealing and Weather Stripping: It is essential to have a good seal around the frames of your windows and doors. If air is leaking around the edges, window repair can be beneficial to seal the leaks and add weather stripping around the perimeter of the doors. If there is a problem with your window, the best thing to do is talk to our team here at Scientific Home Services Ltd. We will schedule a time to come to your home to see the damage. Then, we can make informed recommendations about the repair work you need and we will also provide a free estimate for the project. How do you know if a few repairs will be sufficient for your broken windows? In some cases, repair work can improve the quality of a window so you don’t have to replace the windows in your home right away. Other times, it might be a better investment to skip the repairs and choose a full replacement instead. Here at Scientific Home Services Ltd, we cater our recommendations based on your preferences and budget. Our team will gladly discuss the options with you, helping you to choose the best solution for your family. 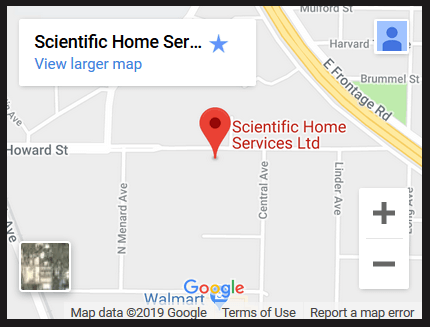 If you have a window that needs to be repaired, we invite you to contact us at Scientific Home Services Ltd. You are always welcome to visit our showroom at 5639 W Howard St, Niles, IL 60714 and see the options in person. Or call us to schedule an in-home appointment for a free estimate: (847) 752-0370.